Talent in music comes as a gift – not everyone has it, but talent is only part of a person’s natural ability to play the piano. Beethoven, Bach and even Billy Joel had to use the other part of ability: practice. Anyone can learn how to play the piano, but what if you’re wanting to help teach someone? You can give free piano lessons. Anyone can learn how to play, provided there’s a commitment and the process is enjoyable to them. Try to make free piano lessons fun. Also, your process will be different depending on whether you’re teaching children or adults. See, adult piano students learn on their own, whereas young piano students have to be nudged in the right direction. It’s simply a difference of how the mind is wired. There are many techniques that can be used to learn to play piano via free lessons. It might help, in a child’s free piano lessons, to use some graphics or bright colours to capture attention, like the Bastien method of playing. You can also go with position playing by teaching hand positions directly. The Rote method is another method, and works by making the child familiar with the keyboard and then learning to read and play music. Also, you need to keep in mind the child’s own learning ability. People learn at different speeds, so need to have different lesson paces. If you’re a parent, use this time to play along with the child in piano lessons – if you know how, join him or her and if not allow them to teach you. In addition to a source of motivation, it acts as a bonding moment between parent and child. Free piano lessons can also come in the form of taking the child to a concert to listen to a piano being played. Just listening to music is its own learning device – get CDs of famous composers and allow the child to listen to them and learn their technique. Adult students getting free piano lessons, on the other hand, tend to not really need outside motivation, as they want to learn piano for regret of stopping when they were younger. Mainly it’s for pleasure or just for the sake of having a new goal. When getting free piano tutorials , keep it fun, as you would with a child. Note that free piano lessons aren’t going to do you any good if you just practice during the lesson and not any on your own time. You should have exercises meant to help you improve, and if you don’t develop the talent within you it’s basically just wasting your time. 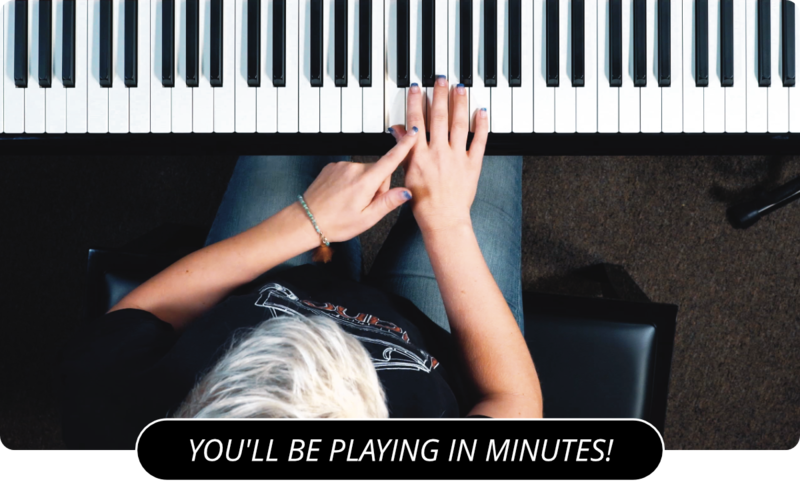 Free piano lessons won’t give you immediate success either, so take your time. The trick to it is to be patient and persevere. If you want to truly learn at your own pace, seek out piano lesson DVD's or online piano lessons . No matter what age you are or background you come from, you can become just as skilled at playing the piano as anyone else provided you put forth the proper effort. Learn more about free piano lessons by visiting the homepage of PianoLessons.com , or by going through a few of the other piano lesson articles we've posted on this web site.